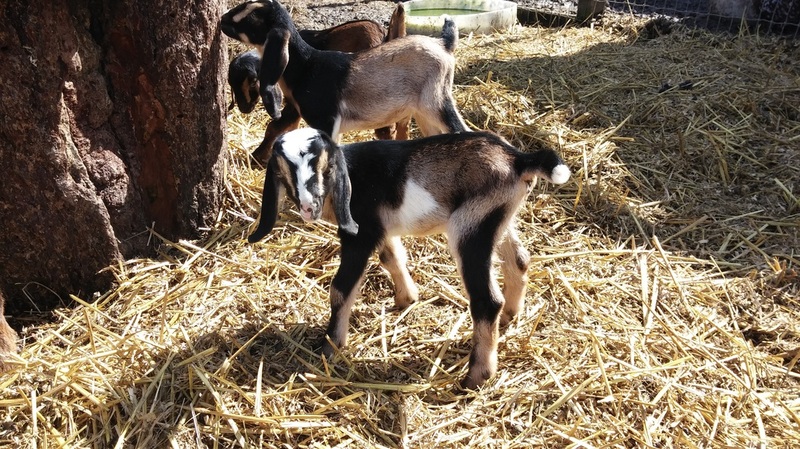 Trillium & Mocha's doelings, born on St. Patricks Day. 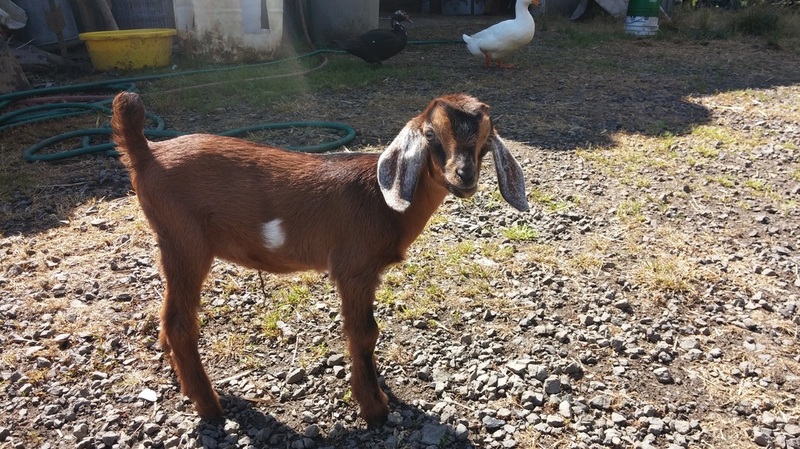 Mocha's doeling is sold. 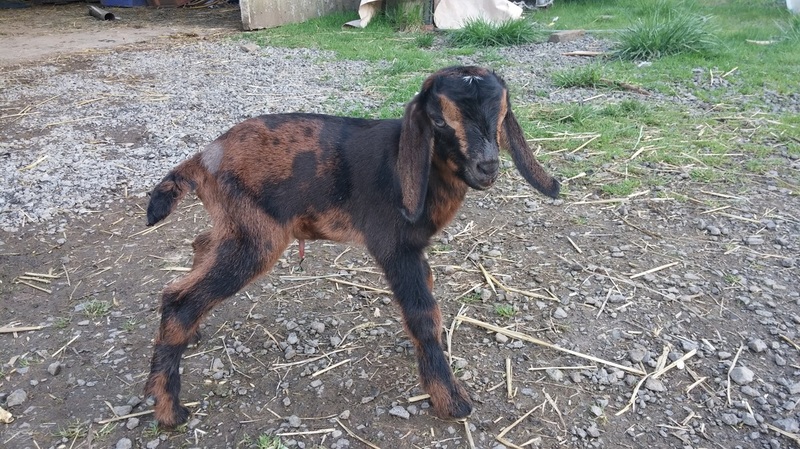 Trillium's doeling is sold. 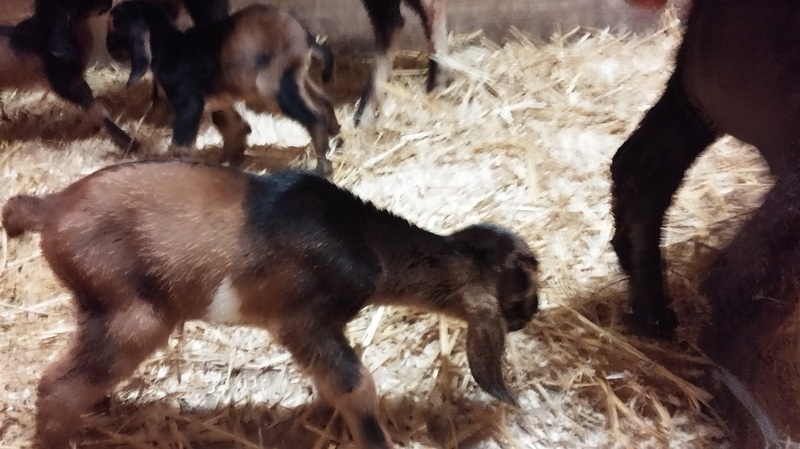 Cowgirl's doeling & wether , born 3-24-15. Bred to Kilo. 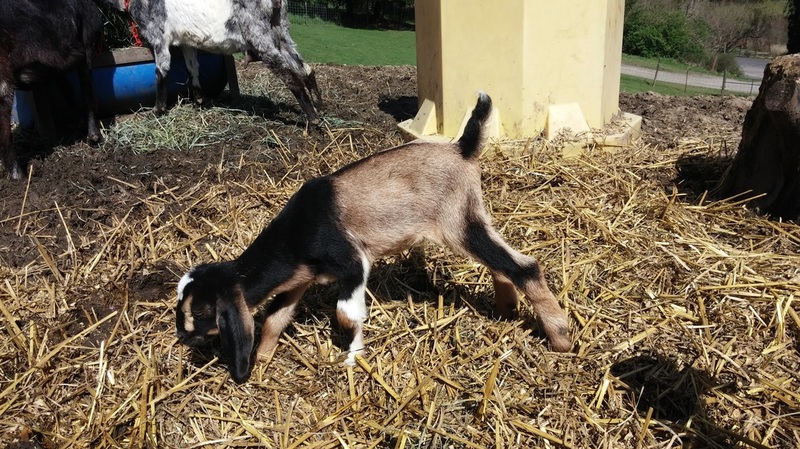 Fawnlilly's doeling. Born 5-1-15. Bred to Kilo. She will be retained. Blue Bells wether. Bred to Kilo. 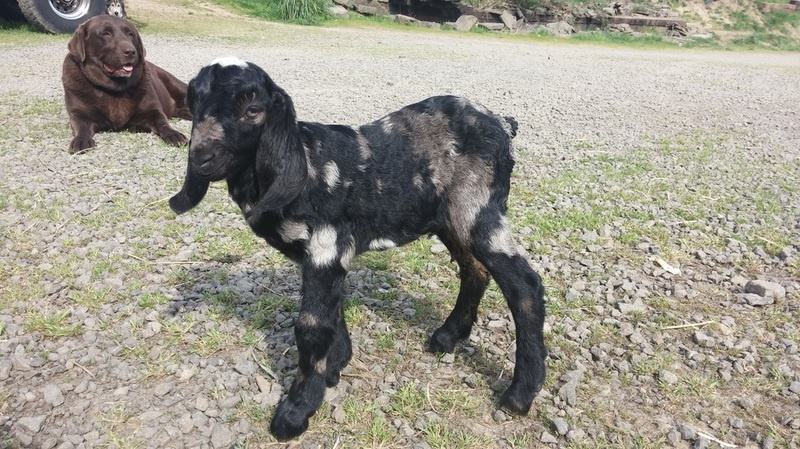 Blue Bells Doeling. Bred to Kilo. Blue eyes.